1. The Soil & Health Association of New Zealand Inc. (“Soil & Health”) thanks the Ministry for Primary Industries for the opportunity to comment on the Dairy Industry Restructuring Act 2001 (“DIRA”) review and specifically the ‘Review of the Dairy Industry Restructuring Act 2001 and its impact on the dairy industry’ Discussion Document (“Discussion Document”). 2. Soil & Health is an incorporated society, with charitable status, supporting organic food production established in 1941. It is the largest membership organization supporting organic food and farming practices in New Zealand and is one of the eldest present-day organic organisations in the world. Soil & Health’s objectives are to promote sustainable organic agricultural practices and the principles of good health. Its membership is chiefly composed of home gardeners and consumers, organic farmers and growers, secondary producers, retailers and restaurateurs. 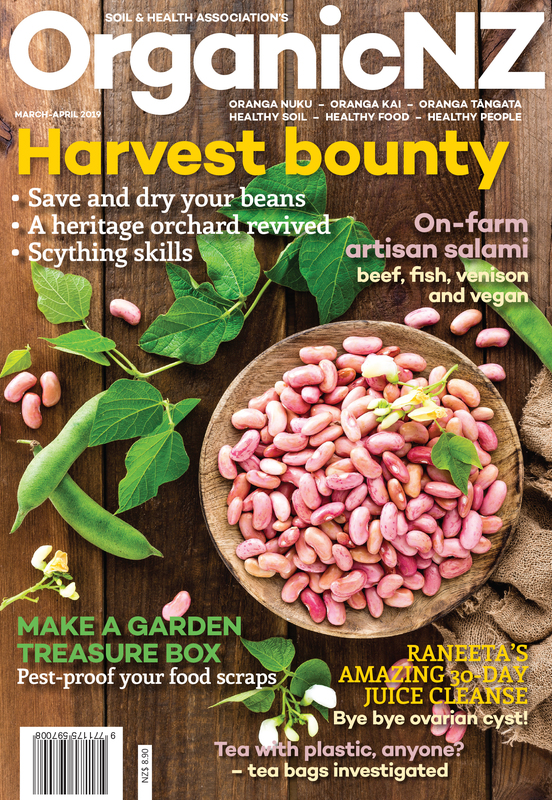 Soil & Health publishes the bimonthly ‘Organic NZ’ magazine – New Zealand’s leading organics magazine. b) Fonterra must be obligated to pay any Fonterra organic milk supplier a minimum of 25% premium above the annual farm gate price, irrespective of location or availability of processing capacity. 4. Soil & Health understand that the DIRA was enacted in 2001 to facilitate the formation of Fonterra to drive the New Zealand dairy industry’s economic performance in global dairy markets, and to regulate its dominance domestically, for the long-term interests of New Zealand dairy farmers, consumers and the wider economy. However, we consider that this strong focus on economic growth has come at the expense of the environment. 5. We strongly agree with the Discussion Document that, along with economic benefits of the growth of the dairy industry, there have been negative effects on our environment. Such effects include increased greenhouse gas emissions, nitrate leaching, and the expansion of dairy into increasingly marginal land areas. We are pleased to see this acknowledged in the Discussion Document. 6. We share concerns highlighted in the Discussion Document that the DIRA has been encouraging uneconomic and environmentally unsustainable milk production inevitably preventing Fonterra from transitioning to higher value-add processing activities such as organic dairy. 7. It is well known that New Zealand’s freshwater is in a dire state, with a staggering 62% of monitored waterways being unsafe for swimming, and a big factor in this is nitrogen pollution from the increasing intensification of agriculture. The Ministry for the Environment says New Zealand has recently experienced one of the world’s highest rates of agricultural intensification. 8. There is also growing concern about the public health impacts of highdensity livestock production – especially for dairy farming. There are health concerns as nitrate levels in drinking water increase. 9. Nitrogen pollution comes from cow urine and synthetic nitrogen fertilizer diffusing through soils and pasture root zones, so simply planting stream banks and fencing off streams cannot solve this issue. 10. 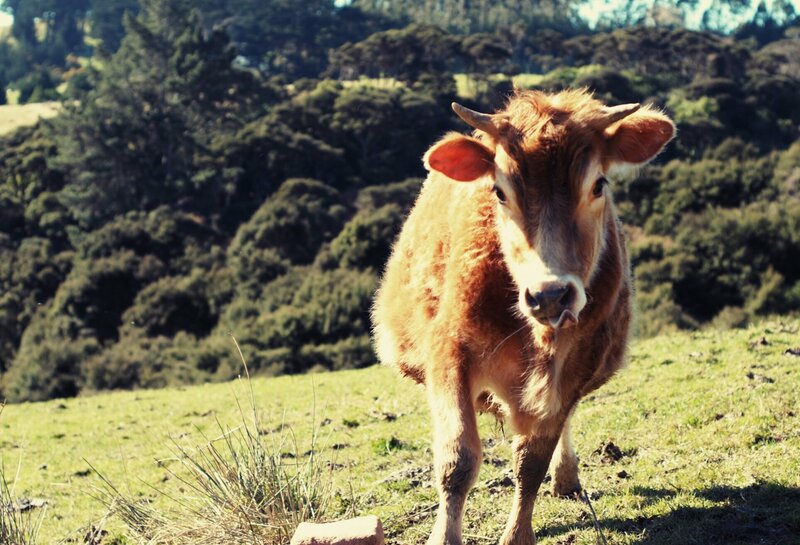 Our concerns are that Fonterra’s focus on economic value growth, primarily from greater volume of commodity production, have made it more difficult for dairy farmers to transition to organic dairy production, and therefore to more environmentally friendly methods of dairy farming. 11. Going organic is part of the solution to fixing polluted fresh waterways in New Zealand. Organic dairy farming involves no synthetic nitrogen fertilizers, lower stock numbers, more biodiversity, and grass-fed cows with no GE feed or palm kernel supplements. Organic farming methods improve the soil biology and soil structure, which means better water retention and less nutrient leaching. Organic and biological farmers make use of natural fertilizers including legumes, instead of soluble artificial nitrogen fertilizers that are more prone to leaching. 12. Organic dairying also has higher animal health outcomes and lower intensity. Some of the profit making of organic dairying and their ability to remain profitable with less volume is because of the reduced veterinary costs because of the reduced animal health issues. 13. Studies have found that a low-input system with fewer cows per hectare and no synthetic nitrogen fertilizer produces the most milk per cow per year. This research also confirms that the low input system is the best environmental performer, the least financially risky, and is most profitable when milk-price payouts are low (Basset-mens C, Ledgard S and Boyes M (2009). Eco-efficiency of intensification scenarios for milk). 14. We support the DIRA in that it is legislation enabling a cooperative and protective approach to market access for many farmers, controlling farmgate milk price to some degree, and because it exists it allows for what could be a legislative environmental gamechanger for dairy in New Zealand. 15. The DIRA however has allowed Fonterra to treat organic farmers poorly over time, including reducing the organic pickup area for paying the organic premium, meaning no premium, even for some of the organic pioneers that helped get the organic dairying underway, because they were beyond the ‘organic hub’. Only when it has suited Fonterra did they reinstate some parts of Taranaki and Manawatu, but overall there has been limited encouragement for new organic transitions beyond its organic hub. 16. Fonterra have made it more difficult to have certified organic dairy farmers in parts of New Zealand away from their prescribed hubs. We understand this has been done for efficiencies however at the same time has resulted in organic dairy growing better outside of Fonterra in New Zealand. 17. Fonterra established its organic programme in 2002 following three years of research and the sector grew strongly. At its peak in 2011, there were 127 dairy farms supplying Fonterra with organic milk. Fonterra had a review and changed its organic policy in the same year. This opened the door to commercial opportunities for new players to fill the supply vacuum. The Organic Dairy Hub Cooperative which is now the third largest supplier of organic milk in New Zealand was incorporated in 2015. Fonterra, Open Country Dairy, Organic Dairy Hub and Marphona Farms which operates Green Valley Dairies, are now the four main suppliers of organic milk in New Zealand (OANZ 2016 Organic Market Report). organic milk powder being an important contributor (OANZ 2018 Organic Market Report). into organic products and do better at marketing the same. DIRA needs to be amended to make it obligatory for Fonterra to be picking up certified organic milk and in transition to certified organic and be paying the premium for it. 20. Soil & Health considers that government intervention is required to incentivize more sustainable and organic methods of farming. We consider that a shift towards organic farming practices is needed to protect and enhance our environment and our economy. 21. Soil & Health therefore seek that the legislation require that Fonterra must collect all certified organic milk and in transition to certified organic Fonterra milk and pay a 25% premium above the annual farm gate price for it, irrespective of location or availability of processing capacity. 22. Other changes Soil & Health seek are that the DIRA open entry requirements are repealed. As one of the key mechanisms that has facilitated the growth of this industry Soil & Health strongly recommends that the open entry provision be completely removed. For completeness we recommend that open exit be retained so that Fonterra cannot impose any restrictions on farmers who wish to leave Fonterra. 23. Further, with regards to Terms of Supply, Soil & Health recommends that the DIRA be clarified to ensure that Fonterra can provide financial incentives and disincentives to farmers who are performing above or below any element of Fonterra’s Terms of Supply or standards. Being able to use financial incentives and disincentives should include, but not be limited to, issues associated with environment, emissions and animal welfare standards.